In celebration of the publishing of Leonids Breikss writings “Life and works”, Volume I, I want to express the most sincere thanks to the poet’s relatives and all the helpful people in Latvia and abroad for their selfless help in gathering Leonids Breikss’ literary legacy and facts of his life. Using the found documents, photos, publications, letters, written and oral testimonies, I was able to put together a manuscript for publishing his works. A heartfelt thanks to everyone who has organized events dedicated to Leonids Breikss’ remembrance and participated in them. On April 8, 1998, on the week of Christ’s suffering we were remembering Leonids Breikss in his 90th birthday. Too soon, in the very peak of his life, the poet and apostle of freedom was forced to climb the mountain of Golgotha, torn away from the perfect unity of his life and the heartbeat of his nation. The Breikss family returned from Russia to Latvia when Leonids was twelve. The new, recently freed country and the heroic spirit of Cesis Schoolboys’ company could not have kept a youth’s mind still. It was overwhelmed completely by the tidal waves of poetry. But this vehement literary work, begun in the early years, was the main reason for Breikss’ diversion from Law studies in the University of Latvia. Two related threads light up in Leonids Breikss’ poetry. One of them, the white thread of light is the continuation of feelings written by Janis Poruks, Fricis Barda and other poets who were romantics. The other one – carmine – is the thread of patriotic poetry, which were still being spun by his contemporaries Aleksandrs Pelecis, Janis Medenis, Gunars Freimanis, Bronislava Martuzeva, Anda Lice and several other poets who suffered the terror of Bolsheviks. The art of their words is undoubtedly affected by that which they endured in imprisonment and deportation. As far as I have had the opportunity to meet with several Latvian poets in Soviet labor camps, they all have acknowledged the influence of Leonids Breikss in the process of their literary development. Poetry readings by Aspazija, F. Barda and especially L. Breikss are unforgettable, for they were our spiritual bread in the secret gatherings of Latvian patriots in the Siberian slave camps, in those frequent times of fasting when secular bread was scarce. When we needed to cement our remaining mental and physical powers for the years of strike and revolt in the Gulag. Leonids Breikss, like Oskars Kalpaks, was a fatalist, believed in destiny and God’s will and relied on it. Breikss was not prominently one who would call to war, but he was a singer of freedom and unity. It was as if he sensed and predicted the decision of fate – the loss of nation’s freedom! And after years foreign lords will drive us to corvee. Both L. Breikss’ patriotic poetry and his prayers is a lasting value in Latvian nation and literature exactly with its convincing, true power. If Breikss had written only the retreat “Sacred legacy”, “Latvian’s creed” and “Prayer”, even then he would have an eternal place in our history and culture, in the heart of the nation. But one can also find lyrics of his nature, love and contemplation in Breikss’ writings, which, despite the poet’s young years, often feature a sense of fatal doom, the proximity of death, as if a foreboding that the short life will end abruptly and much is to be done so that someday “the voice is followed by the echo”. Breikss’ poetic images often contain a glimpse of deliberate straightforwardness that does not cause colorful associations. The poet replaces these with soulful allegories, and one might think that the author has paid his dues to the unprepared reader of the time, and his rate has been the direct emotion ventured on the freed and blooming land. Being deeply religious, the asker cannot turn to the Creator with complex and artistically refined phrases. Leonids Breikss’ “Hymn” and “Latvian’s creed” as well as all three prayers have sounded like a coral in their solemnity even before weaving the lines into music. And it seems that words of humbleness and trustfulness, told to the Creator, stem from the very depths of the soul of the nation, threatened to be crushed by the millstones of the century. But, unlike the Biblical Paternoster, the words in these poems bloom in the color of the nation’s blood and tears, and few are left indifferent in years of our resonant awakening. We have seen the poetic hero of Leonids Breikss’ poetry in the white light of the soul of Fatherland and every Latvian, in the opposition of good and evil. Reading or listening to his works, we walk beside the poet on the paths of suffering of our nation, but lifetimes, seeped deep in the steppe sands, cannot be mended by any threads of forgiveness. Only stars know the burial grounds of our loved ones, when a stem of grass blooms there in the night, bent by its pain. According to some testimonies of the deportees, Leonids Breikss died in 1942, in the Saratov forwarding jail, not having reached the site where he was to serve his sentence. Exhausted by Cheka and prison cells, the poet has still retained the power of spirit and optimism and was full of creative ideas, before he was exiled from Latvia. He exclaimed to a brother of sorrow: “Oh, how I could write now, how I could get it all!” But he was beaten by the long road, prison and illness. When Leonids Breikss was arrested in his apartment, he was very composed, dressed in his usual, steady motions and calmly followed the servants of inquisition. For both light and evil days the poet took as the will of God, always sensing his presence and comfort. May he remain so in our memory. A personality of strong spirit, unbroken, filled with inner light. For nearly half a century, L. Breikss’ poetry was forbidden by the servants of Soviet occupation rule. But it lived, and breathed in every Latvian family with Latvian mentality. May the writings of Leonids Breikss “Life and Works” experience an open door day. Home. At school. Among the nation. In early spring of 1908 – April 8th, his son Leonids began his days in the family of Peteris Breikss. Peteris at that time was the steward of Prince Alexei Golytzin’s manor in Elizarovo, Moscow province, Volokolamsk County. A confirmation of the steward’s authority was the participation of Prince Golytzin and his wife in organizing the Baptism of the newborn. With the prince’s request a Lutheran pastor had arrived from Moscow to name the boy and to welcome him in the Evangelical Lutheran congregation. In this solemn moment Leonids’ mother deeply felt her duty to raise her child to be a decent man, and fulfilled her promise her entire life. Why Peteris Breikss left his homeland for Russia remains unknown. Perhaps it was to provide for his family. His father’s home “Vitini” was kept by his brother, and Peteris had to go into the great wide world looking for a job. He was not the only one of Latvian men who, having gained the relevant education became manor stewards in Russia. They got accustomed to living there and put down their roots for a long time. Describing the first stage of Leonids Breikss’ childhood the author of this biography has based his story on notes left by members of Breikss family, especially his mother, as well as memories told by the poet himself – on living in Russia, on the mother’s and children’s visit to Vecpiebalga , on the Breikss’ family return to their native land. This is the only biographic material of the family given by Leonids Breikss’ parents to their children, who were not able to retain all of their early impressions for a later time. Residing far from his native land, in the foreign side among Russian people, Leonids’ parents tried to form a Latvian worldview for their children, to preserve the national traditions. The crib for the baby was just like those made in Vecpiebalga, and the parents made pastalas for the baby sister, two years younger than her brother. Two Latvian men lived and worked in the manor – gardener Jekabs Lakse and gamekeeper Janis Linga. The children were told that these men are their compatriots. The Breikss family grew – it was joined by a little dark-haired, blue-eyed girl – Adele Amalija. The nanny’s duties were given to Marina, a seventeen year old pious girl. The children observed her morning and evening prayers and sometimes took part. The nearest Lutheran church, to which Breikss’ family belonged, was in Moscow, about 150 kilometres from the nearest station Sahovaya. It was hard to get there with the considerably large bunch of children, so the parents often took Leonids and the girls to an Orthodox church. It persuaded the boy that the existence of God is a higher power, standing above the mind, will and ability of a human being. Later this persuasion, strengthened in youth, expresses itself in Leonids Breikss’ poetry, confirming confidence in God. The humbly believing Russian man considered the Tsar to be the representative of God upon earth, but the bitterness caused by misery broke out as an uprising against the nobility – against their lord, the cause of all trouble. A peasant uprising happened also in the vicinity of Elizarovo. The neighboring manor belonging to relatives of Prince Golytzin was destroyed. The rioters broke in Elizarovo, but the steward Peteris Breikss was able to calm the incandescent peasants’ minds with his calm, composed speech. These worrying, harsh events had a depressing effect on Leonids’ sensitive soul. In order to protect his family, Peteris Breikss sought a calmer workplace in Moscow. In those times people who did not speak Russian were considered Germans and treated with hostility. While Peteris Breikss had not yet accustomed to his new place, he sent the family to Vecpiebalga, to live with his relatives. And thus, in the summer of 1913, Amalija Breiksa and her children got off the train in Koknese station. Then they went by post carriage to Vecpiebalga and settled in Leonids’ grandfather Janis Breikss’ home. When the sun had already begun its descent, the carriage-and-three rolled in the “Vitini” yard. The mother was overwhelmed with seeing her dear old places again, rows of maple and ash, the closest people, her native Vecpiebalga. The welcoming people curiously observed the large bunch of kids – in November, 1911, the Breikss family had yet grown again by another offspring – Peteris Pauls. His parents had told Leonids much about his Fatherland, and at the age of five he first saw it in its true beauty – the winding white roads, hills, lakes surrounded by forests, cultivated fields, buildings, the bright yard, its sunshine protected from the cold winds by mighty forests, the barn and shed with their dwellers, the household people who welcomed the guests so warmly. Next to the “Vitini” fields river Ogre meandered, fairly wide and truly deep at this place, rich in fish and crawfish teeming in the banks covered in bushes. Cousin Arturs was a keen fisherman, and with him Leonids walked the twists and turns of Ogre all over. Leonids’ mother and the children visited her parents’ home – “Pakalniesi” of Vecpiebalga. With hard, relentless work Amalija’s father Andrejs Sotaks and mother Anna had bought out the land from Count Seremetev. Being Lutheran, they had also gotten involved in the Hernhutian movement – a religious community that tried to carry out ideals of pre-Christian fraternity. Amalija’s father was one of the brotherly parishes’ fathers or tellers – he conducted the services in Hernhutian gatherings, explained texts from the Bible. These so-called gathering chambers were neatly decorated, the tellers – educated people for their time. The mother and her little children also walked to the Vecpiebalga church which was ten versts away. Leonids was overtaken by the play of the organ, and he also liked the events of the service, its difference from cult ceremonies of the Hernhutians and the Orthodox. The mother took the children also to the Vecpiebalga cemetery. The children, kneeling by their grandparents’ graves, recited their prayers and placed flowers. So the mother taught her children to honor the memory of generations past. They also visited the home of Atis Kronvalds. The Vecpiebalga parish, honoring and loving its teacher and linguist, had erected a monument of him. The mother told the boy of this man, who fought for the nation’s rights of gaining education and who woke the awareness of nationality in Latvians. In his early years Leonids probably did not understand all he was told and all he saw, but the young soul was marked forever with these first impressions of his native land, the notion that one is Latvian, belonging to this land. He would always remember visiting “Kalna Kaibeni” to see Matiss Kaudzite, as retold again and again by their mother later on. Having put Sunday attire on Tamara and Leonids, Amalija Breiksa set to the Kaudzite house. It was not a far trip – from “Vitini” to “Kaibeni” one had to walk about two and a half kilometers. The large white house with the green roof was seen from afar, sitting on the hilltop. The yard was surrounded by giant trees, their canopy bright green. Embittered, she thought – it’s easy to preach. Had she and her husband not told the children of their true motherland? With the exception of the gardener and the gamekeeper, people all around were Russian. Latvian language was only heard in the family. Outside the house the children had to speak in the foreign tongue. And still the mother promised herself that she would raise their children with love for their country. On a late autumn day of 1913, when migrant birds had already departed, Amalija Breiksa received a letter from her husband. The envelope also contained a train ticket to Serpuhovo in Moscow province. Leonids’ father had found a job in a textile factory – he was the manager’s assistant. Until then, when they still lived in Elizarovo manor, the parents’ tales of their native land seemed as something unreal to the boy, like a story or fairytale. But now, when his little feet had touched the sands of the native land, his eyes seen the forests of Latvia, the hills, the lakes, when he had heard his mother tongue all around, his impression had formed entirely different – not only real, palpable, but also written deep on a white page deep in his young soul. Even though the Breikss family lives for another seven years in Serpuhovo and later in Moscow, these impressions of a summer spent in Vecpiebalga do not fade, on the contrary – they awaken permanent longing for motherland in the boy, create a sense of belonging to one’s nations and constitute the awareness of nationality. The second stage of living in Russia – until 1920, when the Breikss family returned to Latvia, was full of worry, hardship and suffering. In 1913, Serpuhovo faced a scarlet fever epidemic. Leonids and Adele overcame the disease, but his beloved elder sister Tamara Aina, the faithful comrade in play – remained forever in the sands of Russia. In 1914, when World War I started, Breikss family moved to Moscow, where the father had found a job as a manager in the silk factory of the French manufacturer Girot. During this time, Peteris Breikss helped settling Latvian refugees in Moscow, upon his request the administration of the factory had given a building out of use for this purpose. During this time – September 8, 1915 – Leonids’ little sister is born, and she was named Tamara Anna. Later on, living in America, she is the one who remembers her big brother and tells the Latvian society of his tragic fate and familiarizes them with Leonids’ literary legacy. Year 1917. The uneasy time of revolution begins. Tsar Nikolai II stepped down, followed by a Temporary government. Then the rule was overtaken by the Bolsheviks. With the rise of communism an indescribable devastation began, the shortage of food and fuel. In order to survive, Breikss family was forced to relocate to a soviet farm (sovhoz) in the province of Tula. A message of joy reached them with great delay – in November 18, 1918 in Riga the country of Latvia was proclaimed. On February 1, 1920 Latvia agrees on a truce with Soviet Russia, but on August 11 a peace treaty is signed in Riga, saying that “Soviet Russia unconditionally recognizes the independence and sovereignty of Latvian country and for all times refuses of any right on the land or nation of Latvia”. On January 26, 1921 the United League of Nations recognizes Latvia de iure, thus making it a co-ordinate member among other countries. Noting the peace pact between Latvia and Russia, the Latvians dispersed in the vast lands of Russia begin to return to their native land. The Breikss family receives the permit to leave in October 3, 1920. Finally – the road to motherland is open. But in this year the Breikss family is visited by sorrow again – another grave must be left in Russia – aged 11, Leonids’ sister Adele dies. The parents are packing for Latvia with their three children. In a cold December day they board the brown wagons in Moscow. At each end of the wagon is a bunk for sleeping, and coal is smouldering in a tin furnace in the middle. Many have raised the red-white-red flags above the wagons or the locomotive, much to the dissatisfaction of the communists. Leonids, his brother and little sister agitatedly watch what’s happening around them. They are their parents’ only gain of the many years they worked and lived in Russia. But the road leads on to a new life. – Zilupe! Latvija! – cheerful voices call out. How is the native land that welcomes them? Thousands of Latvian men and youths have fallen in the long and harsh fights for independence, countless injured, lost their health. The land is desolate, houses burnt down, fields fallow. Thousands of cattle slaughtered, forests depleted. But the craving for freedom, the power and the will still hold. The spirit is alive and the hands want work. The new country of Latvia is arising from the ruins. In Zilupe the men are carrying out the possessions from the wagons, helping one another. The wives and the children run to the little store next to the station. White bread! Not being eaten for a long time. And other goods. The kids get milk. Nobody is watching, no need to fear anyone. Signs in Latvian everywhere. In the evening the train going to Riga arrives. On the east, across the border, remains the land of misery – Soviet Russia. In Riga the city council gives the Breikss family a place to settle in Bruninieku street, in the premises of an unused shop. But the energetic father soon finds another place to live – in Brivibas street. Life has to be begun anew. Leonids is twelve at that time. He has gained preschool knowledge from the private tutor Jekabs Taube in Moscow, and he also attended the Reformers’ Grammar School where German language was also taught. All the things he saw and felt and contemplated about in the foreign land, and the awareness of Latvian nationality given by his family gave Leonids the foundation on which his remarkable, powerful poet’s personality was built. With every day in Riga it became closer to Leonids Breikss, the impressions of the former years of Russia slowly stepped back – the things that had made the adolescent boy serious, secluded. He seldom went in the yard to play with other children. Leonids liked to do things on his own – he could carve various items out of wood with his pocket knife – once he created a precise, elaborate model of a ship. Leonids attended the secondary school of Marija Millere private grammar school, which paid extra attention to religious and ethical upbringing from the very first grades. Here a positive role was played by clergyman Aleksandrs Mitulis – a teacher of religion, which knew how to get to the children’s souls with his words and kind attitude. During these times Leonids parents often went to New Gertrude Church, which was dominated by an atmosphere of light, made sunny and Latvian by the altarpiece “Jesus blessing children” by Janis Rozentals. In the background of the painting – spring of Kurzeme with blooming apple trees, a shepherd boy, or maybe father’s helper, kneeling by Jesus’ feet, a little light-haired girl in a white dress and a mother with a rolled up apron. Here, in New Gertrude, after Leonids’ parents’ request, pastor Arturs Bilmanis welcomed their family in the parish. The deeply religious atmosphere in Breikss family undoubtedly had a great significant in Leonids’ development, and his becoming a poet. Next to a true love for motherland, praise of nature and love, the faith in God’s omnipotence was one of the main themes of Leonids Breikss’ poetry. found the pages written by his son, carefully looked into his secret, feeling joy that he tries to express his most secret thoughts and feelings in poetry. Leonids was just thirteen at that time. His first poems were written in Russian, since he did not feel strong enough in Latvian, but soon he only writes in his mother tongue. The first, childish writings are full of sorrow for his dead sisters resting in Russian land. The boy writes of birds who seek but do not find their old nests. The impressions gained in childhood had shaped the youth’s character – Leonids could not be indifferent to wrongdoings to other people. A strong sense of justice had formed early in him, and it sought expression in the language of poetry. While still living in Russia, the summer spent in Vecpiebalga had left a permanent impression on Leonids. Now, living in Riga, his summers were spent in “Vitini” with his relatives. The voice of distant ancestors resounds powerfully in him. It was in this district that several generations from Leonids’ mother’s and father’s side were born, raised, taught and worked. Harsh is the history of Piebalga. The district is ravaged in the 16th century during the reign of Ivan the Terrible. In the beginning of the 18th century Sheremetyev’s troops march across the land, leaving empty yards and ruins behind them. For these ‘accomplishments’ tsar Peter I gifts Sheremetyev Vecpiebalga and Jaunpiebalga. But the resilient locals drive their shoots through their native ground anew, and in the 60ties-70ties of 19th century Piebalga becomes one of the economically busiest districts in Latvia. Many activists of Latvian national awakening are living and working here: teacher Andzs Ratminders, Jekabs Pilsatnieks, poets Andrejs Pumpurs, Auseklis, publicist and linguist Atis Kronvalds, writers and teachers brothers Kaudzite, here Karlis Skalbe, Emils Darzins and other founders of Latvian culture were born. Picturesque scenery with hills, bluish forests, far horizons and white roads catches the viewer’s eye from the tops of Brezgis, Smete, Augstais hill. White clouds mirror in lake Tauns, lake Alauksts, lake Inesis, lake Nedzis and lake Zobols. Leonids Breikss has absorbed the spiritual legacy left by his forefathers and found an expression for it in his poetry, in his unbreakable strength of spirit, his deeply rooted love for motherland, confirmed by his powerful patriotic verses and his short, honest life. Another inspiration was the beauty of Piebalga district and, undoubtedly, the example given by activists of the national era. The first person whom Leonids entrusted his secret – poetry – was his mother. He listened to her appreciation and her criticism. In order to be sure whether a true talent is evident in her son’s first attempts, or maybe it is just the exaltation of being young, his mother visited theology professor Voldemars Maldonis. Having read the boy’s texts, he said: “Your son is born poet”. V. Maldonis gave the boy’s mother advice to help him develop the first sprouts of poetry, his natural creative gifts. V. Maldonis – theologian, doctor of philosophy, professor of the University of Latvia, was an authority in that day’s society. He was in close contact with culture activists of that time. When Leonids was thirteen, he was awarded the first prize in a poetry contest held by youth magazine “Cirulitis” (Little Lark). The boy was happy and content, seeing his poem published. After a year – December 29, 1922, when Leonids is fourteen, newspaper “Kurzemnieks” publishes his poem “On Christmas eve” (in old orthography at that time). A web of stars the moon is weaving. Peace is coming to people,– this is how this solemn verse begins, merging nature with religious feelings. The poem is signed as – Sirijs. As later confirmed by his mother and sister Tamara Caure – it is his penname (they mention the date of publishing and the title of the poem). Leonids Breikss’ “I want to sing a song once” was published in newspaper “Jaunatnes dzive” (Life of Youth) on April 13, 1924. The book “Latvian literature in biography” (1992, p. 58) imprecisely states that this is L. Breikss’ first publication. This is the wish expressed by Leonids Breikss as a boy. The song, first sung timidly and insecurely, gains in power and is being sung for nearly twenty years, while a violent force kills the poet himself, but “a song once sung does not die” – for five decades Breikss’ poetry was smoldering under the ground until the hot flame broke out in a harmony of countless free voices, heralding the Third awakening of the nation: “A holy legacy is this land to our nation”. But in 1922 the poet still cherishes the dream of “singing a song once”. The creative work of the young poet was especially influenced by nature, being in it. It was the beautiful summers in Vecpiebalga, where he spent careless school holidays in “Vitini” home. Unforgettable were the boat trips in lake Alauksts and lake Inesis, boasting its seven islands covered with trees. These first Leonids’ verses show the characteristic themes of his poetry, the form of artistic expression – sincere simplicity, the hymn-like patriotic and religious disposition, sometimes light, sometimes aching love experience, usually united with a nature image. In 1927 Leonids Breikss graduated from the grammar school. At this time the Breikss family was materially secure. Leonids’ father Peteris Breikss worked in the head office of Latvian Railway as a supervisor. In the house of 3 Gogola street, the headquarters, Breikss family had a service flat on the last floor. It had separate rooms for every child and the parents. Leonids had his own office. Here, at the massive oak desk, he used to work, here he had written his many writings, poetry, prose. In 1928 Leonids Breikss enrolls in the University of Latvia, Faculty of National Economy and Law, Department of Law. 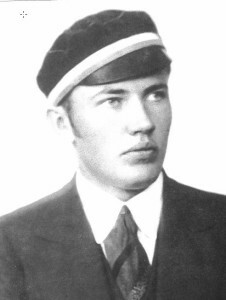 In 1929 he joins the student fraternity “Fraternitas Latviensis”. The fraternity was founded September 16, 1926. Its motto: “Pro patria, iustitia, honore”, its colors: black, white, gold. The corporation organized literary evenings the task of which was to deepen the students’ interest of literature and art, and to refine the Latvian language. These aims determined Breikss’ choice to join it. In these literary evenings he was both a listener and speaker. Studies at the university and participation in fraternity events widened the horizon of the young poet and allowed to know the student body better. It was impossible to dissociate oneself from the political life, as it reminded of itself again and again, making to choose – with whom does one want to stand in life. He started expressing his opinion in periodicals in several ideological articles. Leonids listened to the speeches of Latvian politicians and compared them with their work. On Whitsunday of 1928 he was confirmed in New Gertrude church. This day had a great significance in the poet’s later life. He had given an oath for his entire life – to try to live according to God’s laws. In his faith in Christ’s teachings he sought answers to the questions that bothered him and found peace in hard times of life. The sky bends under its dome. The first ten years of Leonids Breikss’ life in Latvia have passed. The adolescent boy, who could not yet freely express his thoughts in his native language, has grown up to be a Latvian poet who loves his nation and motherland above all and to whom fate had only ten years to spare for work, poetry and love. In 1931 the Latvian society gets to know the young poet Leonids Breikss – Valters un Rapa publishing house publishes his first poetry collection “Reverberant waters”. Selected works had been published in periodicals, but this collection, comprising several years of his poetry, affirmed that someone has joined the Latvian lyricist family – a personality with a light viewpoint on life. The young author is only twenty three, but he shows himself as a mature poet. This book, mostly containing nature lyric, is crowned by the hymn-like patriotic poem “A sacred legacy is this land to our nation”, known by decades even by those who were barely familiar with Breikss’ poetry or did not know it at all – those were the words to which Janis Norvilis created a melody and which were sung by the nation standing on its feet, just having emerged from the cage of captivity into sunlight. Every creative personality has its hour of glory – Leonids Breikss’ name means forever for Latvians with his peaks – “Sacred legacy” and “Prayer”. In the beginning of the 1930s L. Breikss began working in the editor board of newspaper “Latvis”. The poets’ literary work was encouraged by the restless spirit of the board. L. Breikss worked at the press section of Ministry of Internal Affairs. The publisher was Arveds Bergs, a public and political official who was imprisoned in 1940 and later shot in the prison of Orenburg. In 1933 Breikss’ partially autobiographic novel “Will-o’-the-wisp”, in which he tells of his student life and experiences in working as a journalist. In several installments this novel was published in newspaper “Latvis”. In the first half of the 1930s Breikss gathered his novels in his collection “My dream land” which was published in A. Gulbis publishing in 1935. At this time the name Leonids Breikss was well known in Latvian society. Breikss’ and Norvilis’ “Sacred legacy” had become the new retreat of Latvian soldiers. In the book on Latvian history of literature, volume 6, published 1937, chief editor Ludis Berzins, editors Karlis Egle, Karlis Karklins and Zenta Maurina, also featured Alfons Francs’ essay on Leonids Breikss (in the chapter “Some writers of the new generation”. Especially evaluating the second collection, the author emphasizes Breikss’ vivid lyric nature, the playful lightness of language, multifaceted rhythm, instead of youthful optimism he tells of silent ache more than he sings of nature in the first collection. The feelings of love are told more powerfully, the lyrics are meditative and the proximity of death can be often sensed. A greater portion is taken up by historic poetry of hymn-like nature, ballads of solemn character, and prayers. Both in content and in artistic expression, strong and true in his faith in God is his prophetic “Prayer” which gained new power and meaning in the dawn of the Third awakening. Leonids Breikss was a true patriot of his nation, a person with a high sense of responsibility, and, being of a just, honest nature, he believed that one can win political battles with the power of truth. The words and deeds of Saeima did not satisfy him. In his article “Their time has come” Breikss criticized the actions of Saeima. The article was published in magazine “Universitas”, No. 5, 1933. The prosecutor’s office had seen an insult to Saeima in it. L. Breikss and the editor of the magazine A. Silde were sued. But they were vindicated. Breikss became more careful in his sayings, yet still he did not step down from the principle of unity. With this principle, the idea of forming a Latvian culture, with the idea of nationality the organization “Perkonkrusts” could attract students of many corporations. Leonids Breikss, too, joined the organization in 1931, but he was soon dissatisfied with the board decisions, causing distrust in him, and in 1933 he announced his official leave from the organization and complete disassociation from it in the newspaper “Latvis”. Gone to the countryside, Leonids began working intensely to take the weight off his shoulders. He even tried plowing, which he had never done before. The silence of the woods and the calm waves of the lake soothed him. Being a man of the city, Breikss always sought the road back to his farmstead in his poetry. According to him, farming was the force that multiplied the prosperity of the nation, its ascent. He believed in Karlis Ulmanis, and together with his family in May 15th, 1934, cordially congratulated the president who fired Saeima, ceased the activities of all political parties and took the rule. In the day after the coup Leonids Breikss, congratulating Karlis Ulmanis, wished him the blessing of God and success in his further work. Leonids was sure that Latvia will finally be lead by a man with the utmost sense of responsibility and duty. But Karlis Ulmanis paid attention to the literary works of Leonids Breikss. On July 25, 1937 at Workers’ Festival the president mentioned Breikss in his speech: “Poet Leonids Breikss has once written: “Can you hear the plow piercing the ground? Can you hear the hands moving stones? Hear it: Latvians are building the bridge of future towards eternity.”” Magazine “Sejejs” (Sower), No. 4, 1939 features a piece of Karlis Ulmanis’ speech, said in March 18, 1939, opening the exhibition “Work and leisure”. Not mentioning Breikss’ name, the president had chosen the poem “A sacred legacy is this land to our nation” as the core for his speech, and he cited it partially, merely changing the last line of the fourth verse: “We must put down our heads for this land” (Breikss: “We must put down our heads in this land”). Later on, in several publications of the poem and in the choir song by Norvilis the version of “for this land” has remained, thus confirming and emphasizing the protection of one’s country, the life given for the freedom of motherland. Latvian army. He thought of service as a subject of honor. That was the general mood among youth at that time. Leonids finished his training and got the rank of corporal. Looking over Breikss’ publications in 1937 one can see that even the service with its limited time and rigorous discipline had not interfered with active creative work. During this time more than thirty Breikss’ publications made it to the press, all on various current topics. At this time he writes the “Latvian’s prayer”. “God, bless us for battle! The poet was certain that the power of a unite nation is unbreakable. He believed that every nation has the right to live in its own land God had chosen for them, and the duty of everyone is to protect this land. Breikss’ comrade Stanislavs Reinis has given a written account on their time in the Latvian army. In 1937, the most able and gifted soldiers from all regiments were sent to instructor-officer training, which were held in Riga at the communications battalion and were 10 months long. The people enrolled were higher education graduates and students who had ceased their studies for various reasons. In these courses military knowledge was gained by Stanislavs Reinis and Leonids Breikss side by side. The cadets respected the author of retreat. The poet tried not to stand out amongst his peers, never complained about the unusual hardship when he had to perform military tasks in the heat of summer in full battle gear. Leonids loved making jokes, telling a witty anecdote. Short humorous Breikss’ poems on some of the officers or friendly caricatures gained popularity among the soldiers. The lecturers of military subjects were seasoned officers. Lectures in literature were read by Leonids Breikss, and he did it with a great sense of duty, he had an extensive, significant knowledge of literature. The soldiers were proud that their teacher is one of their own – a soldier. After the training the cadets were given the ranks of corporal. During the next two years the corporals would have had to participate in summer camps – maneuvers, in order to gain the rank of deputy officer, but the occupation of Latvia in 1940 destroyed the Latvian army and crossed out all Leonids’ future hopes. 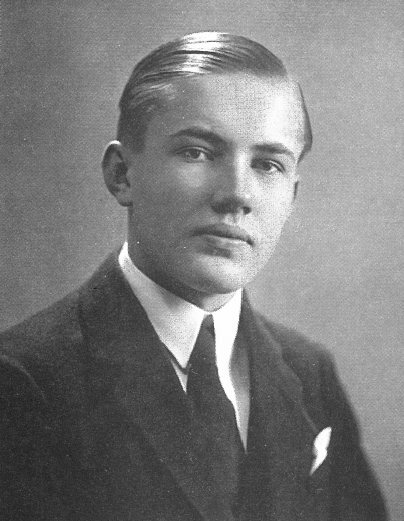 The second half of 1930s was a stable stage in Leonids Breikss’ life. He worked at the Ministry of Social affairs, was the editor in the writings and books section. The press published his articles on culture, religion, upbringing and other topics. In 1936 “Work songs”, a multi-author collection put together by Breikss were published, with short notes on the authors. Leonids had wanted to be a lawyer, but he was and stayed a mere poet. Less and less time remained for studies. His doubts about his choice were expressed in the novel “Will-o’-the-wisp”: “Those two will not ever live under the same roof. And, if they will, one of them must be very weak at any rate.” Leonids ceased his studies, gradually alienated from the fraternity and went his own path – the path of a writer. Poetry written in the second half of the 1930s were published just in 1942, in the collection “Songs for earth and sky” (“Latvju gramata” publishing), and the poet did not see the publishing anymore. Leonids Breikss usually worked in his room at the massive table, he had a Continental typewriter on which he usually wrote. Both poems and articles were carefully polished for when they appear publicly, they must be satisfactory for both the meticulous author and his readers. Sometimes he took down in shorthand, and he liked writing in green ink. The poet’s excellent memory, versatile knowledge, sense of humor and narrator’s gift made him a pleasant conversation partner. Breikss was the soul of the society, his vitality and lively spirit loosened up any company. He used to smoke cigarettes in a long black holder with a filter. Leonids was the complete opposite of his stern brother Peteris. Being enthusiastic in nature, he fell in love, was disappointed, grieved over the frustration until he was overtaken with another infatuation. These feelings are frequently found in his aching love lyrics. The death theme is often found, too. Looking back on these verses, it seems as if the poet had known deep down inside how short his life would be. Leonids Breikss was especially thoughtful and careful towards other people, especially women. He found his partner for walking the path of life in 1935. It was Anna Bildere, a Riga girl, born 1918. Her parents – an orphan mother Karline from Araisi and father Karlis Bilders from Kurzeme – were very young when they came to Riga. They had tried to educate themselves. The mother loved classical music and the theatre. Being the head of housekeeping in a noble German family, Karline had learned “fine behavior”. Father Karlis could speak Russian and German. The parents tried to educate their children. Anna had learned in Vilis Olavs Commercial School. On their first meeting Leonids gave Anna Bildere his book “My dream land” with an inscription. They met rarely, it was a mere acquaintance. Both lived their separate lives, and just in 1939 a closer friendship formed, turning into more serious feelings. After the wedding they went to visit the shore of river Ogre. Bird cherries were white in its coves. The poet was thirty two, Anna – twenty two. Flowers, love, spring, happiness… But the storm clouds rose gloomy across the Latvian border. The new family was worried about the future of Latvia. Russian war bases in Latvia were creating extra concern, followed by the more persistent, impertinent demands of the great Eastern neighbor. The treaty on the placement of war bases was signed in October 6, 1939, Moscow. Poland had already surrendered to Germany. In 1939 the Germans living in Latvia repatriate. 19 Red Army divisions break into Finland. Due to the enormous superiority, the Finnish are forced to cease resistance after 105 days of heroic battles, but they kept their country, even though they lost a tenth of their land. All these horrible events is just the tip of the iceberg, the Molotov-Ribbentrop pact still underwater – the pact with which Latvia, Lithuania and Estonia are given to the horrific arbitrariness of the Soviet Union communists and Cheka. These lines sound more powerfully than any words in the pages of history books. The future of Latvia was too dreadful for an honest man to think, to believe, that the great rulers of the world will allow the destruction of the small nations so cynically – in the 20th century, middle of Europe! Leonids Breikss continued his creative work but the poems he’d written reached the reader only in 1942. In the night of 14th to 15th June, 1940 a Red Army unit invades the Maslenki border point, burns down houses, murders the border guards and their families and drive the captives to Russia. In June 17 the tank units of Soviet Russian Army invade Riga. The country of Latvia ceases to exist. Thus begins the communist arbitrariness, genocide against the Latvian nation – “the year of terror”. The nation feels unprotected, as if surrounded by fierce animals. One by one people disappear at nights – they are arrested, no one knows anything about them, if they are alive, or shot. Leonids Breikss and his wife Anna had been living in 2a Hanzas str, apartment 1 (renting an apartment in the bibliographer and bibliophile Janis Misins’ building). One door in the building leads to the garden. It was full of decorative shrubs, flowers, relaxation spots were hidden under the tree canopies. Sadly, Leonids had only a few months to live there until his arrest on April 17th, 1941. Leonids Breikss usually worked at his massive oak desk. He didn’t have an office of his own. There was a large bookshelf in the living room. Breikss had an extensive library. He had command of Russian but could also read in English and German. Together with Anna they began translating John Steinbeck’s novel “The Grapes of Wrath”. Of Russian poets the closest to him were A. Blok and S. Yesenin, of German writers – F. Schiller and J. W. Goethe, of Spanish – Jose y Gasset. L . Breikss read many philosophy books. How terrible did this year have to be that the Latvians in July 1, 1941, would welcome in Riga the troops of the country the barons of which they had served for centuries with no rights! To welcome them as liberators, not knowing that in higher levels the fate of our nation has been decided between our two large neighbors – Germany and Soviet Russia. In the winter of the Year of Terror many started fleeing and hiding, did not spend nights at home. People whispered about the Cheka cellars and torture. The Cheka spies actively performed as secret informers. Being aware of the popularity of Leonids Breikss – the patriotic poet – the family was concerned about his fate. Z. Unam’s Latvian biographic dictionary ‘I know him” served as a great “manual” to Soviet security organs. Here one could find information on Leonids Breikss as well as the fact that he’d written scenario texts for Latvian national holidays. Breikss’ mother feared for both her sons. She recommended fleeing from the communist arbitrariness to Germany. In the beginning of 1941 it was still possible with the help of German repatriation organs. But Leonids doubted it would work since their family had no evidence of being of German descent. The mother worriedly reflected on the grim mood of her son, he was pensive, silent. Once, when her son had went to the basement to get firewood, mother heard him sing “On the grim steppes of Baikal”, of a convict who rows his boat across the lake. Leonids sang only a couple of phrases filled with a dreary sense of doom. Breikss family, just like many others, tried listening foreign radio stations and hoped for salvation from the West. On April 8, 1941 the entire Breikss family gathered in honor of Leonids’ thirty third birthday. Anna had made him her first birthday pretzel. But the greatest gift of all was the news of their first born baby. Breikss and Bilders families felt a quiet sense of happiness, but none of them suspected that they all sit together at the table for the last time. On April 16, 1942 Leonids is uneasy, as if tormented by an evil foreboding. He entered the parents’ room, sat next to his mother and said: “That’s how it is with us – we know everything, but we do nothing.” His mother replied: “Should anything happen, it will all be too late”. The son rose and slowly walked out of the room, his steps heavy. It was the last time she saw her son. Breikss was calm and composed. In his thoughts flashed all he had done and more – what he had hoped and not yet managed. His creative life, love, happiness, closeness of loved ones – it was all over. All that was left waiting for him was unknown roads in Russia, suffering, unconditional surrender to the dreadful rule. And his only asylum was his faith in God and the immortality of the human soul. During Leonids Breikss’ arrest his family and Janis Misins were pushed into the parents’ room, ordered to face the wall and keep silent. The orders were given in Russian. The searchers did the most damage on the desk and the bookshelf. Their contents were strewn across the floor. As Anna later remembered, she had secretly taken Edvarts Virza’s poem “Dreadful summer” from the desk and crumpled the page in her hand so that the Cheka men would not see. She was the only one allowed to say her goodbyes. “Will you wait for me?” he asked. “Yes,” she replied. She waited and did not meet him again – not the wife her husband, not the son his father, not the parents their son, nor the sister her brother. The door ominously banged. Leonids disappeared in the darkness. Forever. After Breikss’ departure four Cheka men remained in the apartment. One of them continued watching the family and Janis Misins in the parents’ room. The other stood at the entrance of the building. All who entered were forced to go into the apartment and were detained. Anna’s mother had arrived, just as Leonids’ friend Klavs Silins. To shorten the time, the Cheka men kept searching the apartment and questioning the people inside. On the midnight of next day the armed violators finally left Breikss’ apartment. The mental torture and humiliation had ended. A dreary emptiness came in its stead. Everything reminded them of last night’s events. Leonids’ steps had grown silent, as the light clacking of the typewriter, his kind, heartfelt laughter. Something inapprehensible had happened. A monstrous rule had torn off a son, a husband, a brother, a human being from his family, one who had lived honestly, doing only good to his close ones, his nation, his country. The family was torn up by despair. The feeling of helplessness, the obscurity of Leonids’ fate numbed them. On the next day, having arrived home from work and entered the room, Anna screamed and collapsed. She was left alone. Yet she still had something – the tiny life, the proof of fate’s niggardly given happiness. As Anna later recalls: the following days of April were sunny, spring-like. She looked out the window for a long time, and wondered how people can be so calm, careless, even speaking merrily, walking down the street, as if nothing had happened, as if in the night of April 17th here, in their home, an entire world had not collapsed, suddenly destroying everything that was her life. “My dearest one, where are you!” she asked and called in her thoughts every moment. Leonids Breikss’ relatives had started a relentless search for him, but there were no results. The occupation government facilities answered that nothing is known of such person. In Cheka one of the workers told Leonids’ mother to come in June when she will be able to receive a permit for giving clothing and food. When the mother arrived at the set date, she was told that worker has been moved and nobody else knows anything. His father had visited the Cheka building on the corner of Brivibas and Stabu street for several times. There, in June 1941, he was finally told: “Leonids Breikss is convicted of anti-state activity according to article 58.” Hoping to find Leonids in Riga Central Prison, the mother and Anna went there for several times, bringing food and clothing, but nothing was accepted and they were told Breikss is not here. Finally the clothing was taken but they did not receive Leonids’ signature of receipt. The family did not know whether Leonids is still alive or maybe shot already. The ignorance and helplessness tormented them like a demon. On the night of June 14, 1941 the Cheka broke in again: this time they arrested and took away Leonids’ brother Peteris Pauls Breikss. Red terror was raging across Latvia. The people were petrified by horror and despair. The sun shone bright in the summer sky – but through the veil of sorrow it seemed black. A week after echelons of freight train wagons had crossed the Russian border, the German army began its attack on the Soviet Union. On the 1st of July the German divisions entered Riga. The radio translated “Dievs, sveti Latviju” (God bless Latvia) and the Breikss’ and Norvilis’ retreat. The Breikss family did not find their sons among the corpses laying in the yard of the Central prison. A tiny, frail hope remained to see them again. Half a year after Leonids Breikss’ arrest, on November 24, 1941, the only son of Anna and Leonids was born in Dr. Parup’s private clinic. He was named Peteris Leonids. His father in these days was far from Latvia – in the prison cellars of Astrakfhan. And he never knew he had a son. It could have been possible that his family was arrested and deported, too. Leonids Breikss’ parents and sister left their former apartment in September 1941 and moved to the building not far away, in the corner of Hanzas and Valdemara street, and it was from here they departed as refugees to Germany in October 8, 1944. Anna and her little son moved to her parents’ apartment on Brivibas street. In August 1944 she left Riga with her nearly one year old child. On August 4 she boarded the German ship going to Sceczin. Then they took the train to Vienna, still hoping to return soon and meet her husband. 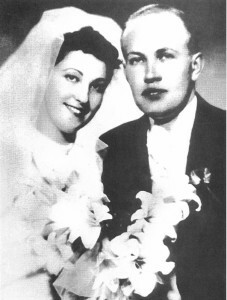 Anna’s parents remained in the Riga apartment. The Latvian intellectuals who had not been deported in 1941, left their native land and set on an unknown path. Families were split. The wives of the arrested and deported husbands boarded ships. A cannonade was droning near Riga. The ominous red wave was rolling back. But in the prison of Astrakhan one by one they shot Ernests Brastins, Aleksandrs Grins, Arveds Valtes Avots, Hugo Helmanis, Andrejs Kampis, Karlis Krauzis, and many more… They are but a few of the men with whom Leonids Breikss shared his path of torture. The only witness of what happened with Leonids Breikss after his arrest until the Fall of 1942, is Martins Bisters. Questioning, physical and mental torture in the Cheka cellars, the Riga Central prison, the road to Kryazh station in barred wagons, then the boat down Volga to Astrakhan, where they met face to face in the large common cell of the prison, and then – in Astrakhan investigation prison, and for the last time – on their way to Saratov prison. The life story of Leonids Breikss has been written according to the carefully selected materials done by M. Bisters as well as what Breikss has said himself. M. Bisters’ telling is a first evidence on other workers of Latvian culture, writers, government officials who were shot in the Astrakhan prison, which is why this material is included in the description of Leonids Breikss’ time spent in prison. The entire chapter is a direct, deeply emotional message, which creates a powerful sense of presence in Leonids Breikss’ and Martins Bisters’ unity of fates. I, Martins Bisters, was arrested on January 7, 1941. In essence, this date can be regarded as the beginning of gathering and arranging Leonids Breikss’ archive. My parents had kept the contents of my desk drawers that the Cheka men had left. Little by little our apartment hosted a small centre for the support of the deported and information exchange. After the return of the Soviet Army in October 1944 the centre did its much needed work silently and discreetly. In the Fall of 1944 my parents received my first letter from the slave camp in Karaganda area. We were allowed to send two letters per year, but sometimes one could use roundabout ways, favorable circumstances, and my parents received letters more often. Finally on the night of February 17, 1955 I crossed the Latvian border, but there, far away, in the vastness of the Soviet land thousands of Latvians remained. Among them my friend and spiritual father – Leonids Breikss. In the Riga station, clad in a worn parka, after fourteen years of slave labor in Gulag, I was met by my gray-haired parents. After the first joy of seeing each other again they began to present the gathered materials on Leonids Breikss, showed the programs of events for remembering the deported (to be exact, June 15, 1943), emphasizing that in these commemoration moments they always played Leonids Breikss’ retreat – “A sacred legacy is this land to our nation”. From these days I promised myself I would gather and study his literary legacy, write my memories of the painful road we shared, and not only for poet Breikss, but for those numerous people who died, exhausted by famine and illness, died in prisons, bared wagons, Gulag camps or were shot. For many years both in Latvia and outside it I sought, gathered and systemized all materials and information related to Leonids Breikss’ biography, his literary contribution. In the early morning of June 24, 1941, those who had not been murdered in Central prison – 3150 prisoners, driven into cattle wagons, were panically transported to Russia. Among them, not knowing anything about one another, was us – Leonids Breikss and Martins Bisters. In the Central prison, communicating with the adjacent cabins (with the help of knocking – Morse code) we found out that the popular poet Leonids Breikss is also here. Then I could not have imagined that fate would join us in the Fall of that year, prison of Astrakhan, that we’d be friends, would sleep side by side, covered by an old, tattered rag that once was a cover. Leonids treated me as a son, he was my friend, my teacher, I had an unique opportunity to hear, and to even evaluate – as the poet wished – the poems he had just composed in captivity. We talked a lot, we had the most diverse topics of conversation. He was interested in everything that happened here, in captivity, he gathered in his unique memory experience, impressions, cognitions, in order to give it all back to people in his book he would write once back in his motherland. Several times he spoke of the layout of the book, he had intended to supplement it with new poems, with ballads of Latvians in captivity. His creative spirit rose above all humiliation, the cruelty of the guards, the numbness, the agony of famine, the filthiness of the surroundings. “Come and melt us in a cliff, so no one will break us,” words of Breikss’ “Prayer” now sounded with a completely different meaning. The words he had written while Latvia was still free. Everyone who was inside the gates of this hell needed the resilience of a cliff to preserve himself mentally and to give strength to others. And that is what Breikss, a poet and a patriot, was like. The free spirit of a human has been burned for centuries and millennia, it has been crucified, thrown in wells, walled in, buried alive, hanged and shot, famished, yet still invincible and forever alive. Leonids Breikss’ life was extinguished – maybe it went out on the cold prison floor, tormented by illness, maybe he was finished by a bullet when he was no longer suitable for slave labor. What he hoped for did not come to pass, and that is why I think my most sacred duty towards Leonids and all those who did not return is to tell a little of what the poet entrusted me, as well as what I know of his path of suffering from his arrest to September 1942, when he remained lying in the corner of the cell on my old, tattered blanket. The Cheka guard kicked Leonids Breikss into a box – a wooden crate with lockable doors and surveillance slit. Before that he was thoroughly searched. The area of the crate – about 70×70 centimeters, a narrow bench tilted towards the door, height about 1,5 meters. Between the walls and the floor a space for ventilation – the temperature could be lowered or raised with the help of that space. Freezing or sweating guaranteed – according to the investigator’s wishes. Then he was taken to a large room with massive desks and benches. Here the guards clad in gray suits ordered them to undress, felt them humiliatingly, shaved their hair, removed buttons from their clothing as well as laces from their shoes, took their ties, suspenders, anything in their pockets. They were allowed to hold their pants with one hand but the other had to be kept behind the back. After checking biography data they were taken to the eight – the common cell. Having greeted everyone, the poet made acquaintance with his cellmates. There were sleeping spaces for seven to eleven people, but that number could be increased should the need arise. The prison guards did not make any conversation and did not skimp on the kicking. For disobedience – punishment cell. The investigators worked day and night. The interrogation was mainly in Russian. 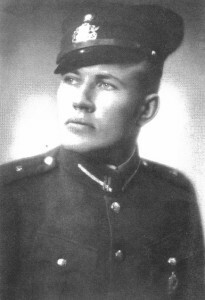 Leonids Breikss was interrogated on the first evening by lieutenant Chernigin, assisted by Sargeant Gorbachev. The protocol is essentially the investigator’s questions and very vague answers by Leonids, which are basically determined by the protocol maker’s report with a dubious degree of verity. Breikss was interrogated three times in April, six times in May. The protocol mentions writers Anslavs Eglitis, Martins Zivers, journalists Edgars Samts, Voldemars Krastins, student Leonids Vezis, Atis Ansis Zalitis. Samts, Krastins, Vezis and Zalitis were members of the national resistance organization, and they all were shot on November 28, 1941, Astrakhan prison. Inspector Gorbachev interrogated Anslavs Eglitis and Martins Ziverts as witnesses in Breikss’ case on May 27, 1941. One of the torture techniques was creating such circumstances that the prisoner who would be interrogated was not allowed sleep for an extended time period. If the person survived, he was permanently scarred by kicks of nailed boots, lashes of a leather whip, punching out teeth. If the interrogated lost consciousness, ammonia-soaked tampons were put up his nostrils and cold water was poured over him. With these and other horrifying means the interrogators forced the tormented people to sign the preplanned protocols, with their signature affirming that they confess in contra-revolutionary, even unthinkable crimes that they had never done. The signature could be faked. The important part was that, in order to give a cruel sentence, one had to be convicted based on the paragraphs of article 58. I don’t believe the prisoners of Gulag who proudly said they resisted the torture and refused to sign. It was undeniable – betrayal existed. One could not endure the moral and physical torture, one did it for compensation, another was a coward. The Cheka used counterfeit confrontation protocols. Many did not know that they are involved in betrayal. The intention of the interrogators was to deport as many people as possible – friends, acquaintances, family – of the convicted. Later on, in the prison, when we spent a lot of time together, Leonids did not want to speak of his physical and moral torture in detail – it was too unpleasant to stir these memories. In the end of May 1941 (maybe beginning of June) Breikss was transferred to Central prison. On June 11 he was summoned to sign a “Protocol on ceasing investigation”. Having seen the text and the worn out handwriting, I can only assume it was achieved by investigator Gorbachev with his physical and moral pressure. On June 20, 1941 Leonids Breikss was convicted based on the 58th paragraph, and the case was given for Particular discussion on sentencing. The decree was signed by Gorbachev, Peshetronov but confirmed by Captain Janis Vevers, who in 1941 worked in LPSR Commisariat of Internal Affairs and National Security, one of the organizers of Stalinism repressions in Latvia, who served his way to the rank of a general major. Despite the guards’ efforts information on current events in Latvia and the world reached the cells. The hope to regain freedom grew. We got to know about the newest events also from those who were just arrested. That which we suffered in the Cheka cellars and the Central prison, the impact of the rulers’ cruelty and baseness, acquaintance with different cellmates, as the poet told me, would, if he ever got free, an enormous material, an impulse for literary work, evaluating much what he had not known before. In the beginning of July 1941, when the Red occupation force had left Latvia, we, the ones deported from Riga Central prison on June 24, were far away from our homeland. In the hot, barred wagons we waited unloading in the small Kryazh railway station which was near to Kuibishevo (Samara). We were crumpled, bearded, sweaty, dirty, hungry, and what was the worst – tortured by indescribable thirst. We, people who were accustomed to cleanliness, delicate relationships in everyday life, were forced to be in these animal-like conditions, the stench of waste, pressed together in the hot wagon. About 900 Latvians were ordered to get off the wagons, but more than two thousand continued the road deeper into Siberia. We were placed in a former horse breeding farm which was now a prison. In the end of July we were divided into groups of a hundred people and driven in a direction we did not know. We walked through a settlement not far from Volga. We were guarded by officers on horses and guards of lower ranks on foot. The sun burned mercilessly, the road dusty, in some places muddy. We were not given nor food nor drink. Those who fell behind were attacked by dogs and the lashes of the officers’ whips. The settlement people called us fascists, murderers. The most industrious ones threw balls of dirt, stones, manure at us. The majority saw the “Eldorado” so famed by communists, a filthiness and disaster a normal mind cannot even comprehend. We reached a Volga tributary in the evening dusk. We were driven onto a barge. A little ship “Fizik” pulled the old barge into Volga, croaking at every corner. Day and night we were terrorized by swarms of rats. We drew water from the river with our excrement pots. We were given small salted fish – snitki. Bread was very scarce. People began to fall ill on the first days. Apparently it was dysentery. We were divided across the load compartment. But we were able to establish communication. Among ourselves, about 600 prisoners had higher civil or military education. In the first days I met an old acquaintance of mine – Riga Police Chief Roberts Cuks, got to know that among us is the legendary Captain Hugo Helmanis. He organized the rebel. If it would work in the night, then we must scatter and, avoiding settlements, head to the front line on bogs and forests. Writer Aleksandrs Grins and Leonids Breikss were in the back compartment of the barge. Leonids was also involved in organizing the uprising. But the unhuman conditions and disease which drained the prisoners made brave Helmanis refuse the idea. In the beginning of August we stopped at Astrakhan. The sickest and frailest were pushed in barrows, others supported by their stronger comrades. All the Latvians were imprisoned in the old Astrakhan Kremlin palace. The palace prison was too small for so many exiles – the guards organized shifts for sleeping and sitting in the common cells. This was prison no. 2. There was a central prison – no. 1. We were not in the same cabin nor with Grins, nor Helmanis in Astrakhan. Grins was taken to investigation prison. He was convicted by Stalingrad war tribunal, sentencing him to death. A. Grins was shot in December 25, 1941 – on Christmas day. The officer Zanis Roberts Briesma was convicted with me, and sentenced the highest measure of punishment in October 22, 1941. At that time the entire underground nationalist group was tried. The shot, supposedly, were thrown in the mines of Volga gravel and peat. In Fall 1942 from the nine hundred people sent to Astrakhan only about fifty skeleton-like people remained. The others were shot or dead from famine or disease. The remaining living were transferred to fish processing plants around Astrakhan, some – to Saratov transfer centre and scattered them across labor camps. All this road of torture was experienced by Leonids Breikss. Since our exile from Riga we were side by side, not really knowing each other, each in his wagon, each in his cell. But we endured the same thirst, sang the nation’s prayer “God bless Latvia”, when the heavy, long echelon crossed the border, taking thousands into nothingness. I first met Leonids Breikss in the large common cell of Astrakhan Khan Palace Prison. I had learned Breikss’ patriotic poetry in school and knew his biography. At an event my father had shown me Breikss from afar. And now I saw him – our nation’s beloved, popular poet. Clad in crumpled clothes, gray face, long beard. That was us all. It was hard to recognize the once stately, elegant poet. While on walk in the prison yard we came to be in the same group. He approached me and said my name. He told me to visit him in his cell. It was hard to move due to the overcrowded rooms, but I frequently used the poet’s invitation. He asked me about my school days, on my activities in a scout organization. I told him I met General Karlis Gopers in the Cheka. I trusted Leonids very much. In captivity people become closer, the societal hierarchy disappears as well as the difference in years. The difference was only in education and experience, but nobody tried to stand out in that context. Breikss readily told us of Latvian and world literature, of Latvian culture establishments, of many topics in art. Those were real lectures. The time spent in the large common cell gave me a lot. The Minister of Justice Hermanis Apsitis spoke of the treaties of the tsarist and communist Russia. He mentioned specific unfulfilled and completely ignored treaties. Apsitis had a phenomenal memory. The grim prisoners’ thoughts and the unhealthy climate in the cell was dissolved by our brightest minds with stories of different kinds – one may even call them lectures. We had pastor Janis Lapins, opera soloist Janis Kiselis, Dievturi founder Ernests Brastins, graphic artist Karlis Krauze, art critic Arturs Jurasteters, Minister of Justice Hermanis Apsitis, Minister of Internal Affairs Vilis Gustavs Gulbis, sportsman, officer Bruno Deksenieks, publisher Janis Benjamins and many others – our intellectuals, the destruction of which was one of the first aims of the occupation rule. The ardent speakers achieved the fact that nobody wept over their fate loudly, and that is a lot for a common cell. On Sundays pastor Janis Lapins held a service. In evening, when it got dusky, the cultural events began, or so we called them. Janis Vitins silently began “A sacred legacy this land…” The room of the khan palace was silently but solemnly filled with Norvilis-Breikss’ song. Later Leonids shyly confessed those were moments of accomplishment, tears filling his eyes from the touching nature of hearing this song being sung here, in captivity, in a strange land among his brothers in fate. We sang these songs a lot: “Daugav’s abas malas” (Both sides of Daugava), “Put, vejini” (Blow, wind! ), “Es dziedasu par tevi, tevu zeme” (I will sing of you, fatherland). The older fellows helped me learn Russian. Much was spoken about the history and geography of Russia, World War I, revolution in Russia and destruction of the Russian intellectuals. I gained a lot in direct conversation with Leonids. Much to my sorrow – and to that of many cellmates – one night the guards made Leonids Breikss gather his belongings and took him away. We had an agreement in the cell – I think its author was Breikss – every year, on January 1st, meet the others at the Monument of Freedom from 12 to 18, holding a white handkerchief in the hand. I took his hand and just now realized – it was Leonids Breikss. This address originated because I’d always tell everyone when meeting them for the first time – I’m a Latvian scout, student of 2nd Grammar school. I was proud of these facts. People were sleeping dispersed across their bunks. Leonids asked me to come next to him and he said – it will be warmer in the night, he’s freezing in his sleep. This was the little branch of the khan castle. This was an investigation prison. There is no sauna, one can only wash hands, of course, with no soap and with cold water. Nobody had a towel anymore, and if they did, the guards stole them. Food – half a liter of warm water, a pinch of rock salt, about 450 grams of bread. Its quality deteriorated. We had lost a lot of weight during this time. Our energy dwindled. Leonids had spotted a white building from the window, through the slits between the planks – it was a hospital, the injured walk the yard covered in bandages. On the right was a two storey building where sewing machines hummed non stop – here they made clothing for the soldiers. We observed it all, we had plenty of time, and we forgot about hunger for a moment. We both thought – maybe someday, being free, we’ll return here and show the place where so many people of our nation suffered and died. I was not given bread that day. My cellmates broke off a small piece of their so valued bread. Some said: “Here, little boy, take it, you’re resilient, you will return to Latvia – tell of us, so that the nation never forgets this time. We will stay here forever. If only they would throw us underground! It was the friendship of father and son that united me and Leonids. He was a very interesting conversationalist, raising me subtly and unobtrusively. He taught me Russian. He covered literature topics the most. At night, when everyone slept, I quietly told him everything what Roberts Cuka had entrusted me on war tribunals. Leonids took it all in a calm manner. Now, when we were in the investigation prison, we were clear on why people were taken from the khan palace at night. We had found out that Volga has a very wide delta at its estuary at the Caspian sea. Here we had lots of tributaries, pits, boundless rushes. Here one could throw in the killed and the dead alike – you didn’t even have to dig a hole for that. We could resist famine and filthiness with great power of will, but resisting the violence of the investigators was hopeless. We were not interrogated as much, they had to get done with us as quickly as possible. The investigation material was not what mattered. There were cases when the smaller sentence passed in Riga then had years added in Astrakhan by the war tribunal, or the highest punishment was assigned. Thus Ernests Brastins was given eight years by the “special discussion” in May 24, 1941, Riga, but the Astrakhan tribunal sentenced him to death. He was shot in January 28, 1942. Here, in the investigation prison, I first heard talks of not coming back and dying. Leonids, gripping my hand tightly, comforted me: “Martins, and still – we will be home!” He was right – he has returned – he is eternally in the memory of the nation. Fate had decided that I, a witness, should return to do my duty for those whose lips were silenced forever. The days I spent with Leonids in the investigation prison was the most sunny stage of all my captivity. The power of his spirit and care for his comrades were admirable. Almost every morning after the waking signal Leonids told a new poem to his cellmates. They often were long. There was no pessimism in them, just an ineffable love for our homeland, belief in God’s omnipotence, the future of Latvia, trust in our nation pushed to its knees. He told he kept everything in his memory like honey is kept in bee cells. Later on he will be able to write it all and publish it in a book. I learned many poems by heart. Sadly, bearing the Gulag cross and struggling to survive every day I have not been able to retain them in my memory, a fact I have reproved myself of many times. Leonids said that in Latvia, being free, it was sometimes hard to write something sensible. There was lack of inspiration, countless other jobs bothered him. But here, in captivity, the thoughts come together with powerful emotions. Everything has to be kept in memory, for each passing day is the history of our nation. Leonids had an excellent sense of humor. He frankly told me of his mischief as a boy, of funny events in his later life. There were events that were but a little change in the forced nothing-doing and which had a significance in survival. I must mention mending clothes here. It seemed unbelievable, but the plank beds had mattresses mad of rags of different colors and fabrics. They were stuffed with tiny rags and grayish, unprocessed cotton wool. It was a luxury. We pulled threads out of the longer rags. The larger rags we used as patches to fix our tattered clothes. Needles (steel weapons!) had been taken away, of course. We had to make our own. It was a complex and time-consuming work. But we had plenty of time, even though we had to beware so that the guards don’t see anything. The “needles” bent – they were also made of fish bones – but we could stitch up the patches. I must admit the poet did not have a “talent” in this handcrafting. I still had the towel I took from home. I found a fairly large strip of red fabric in my mattress. Leonids and I came up with an idea on how to use the red threads from it. I pulled the threads of “unnecessary” color from the towel, threaded in the red ones next to the white strip so that the colors of the Latvian flag formed along the borders. We were very satisfied with this job which took us several days. I kept our flag safe – sewed it in my suit behind the lining. After a couple of days Leonids dedicated a heartfelt patriotic poem to this prison-made, hidden flag. I learned it by heart. It’s sad that during the long years of captivity, the dreadful everyday of the slave camp it slowly vanished from my memory. As a willow sad above the pond of pain. In the prisons of Astrakhan, were days were slow and evil, I had spent about a year. It was August or September. Autumn rain was drumming behind the barred window. Night. The guard, having entered the cell, called my surname. Something stirred in my chest. He ordered me to collect my possessions immediately. I left this cell, with so many convicts, Russian criminals, thieves and murderers, with joy. But I was scared by the days to come – it could get worse. One had to kneel while his biography was read, while that which he says is compared to the records. My knees were aching because all that remained was bones and skin, thin and dirty, peeling off like scales. In order to save on handcuffs we were cuffed in to. It was harder to move and the pressure on the wrists was greater. A car had arrived at the open door of the prison. The guards swore and pushed the prisoners in it, as densely as possible, not skimping on the kicking. I was the only Latvian in the car – the others were Russian criminals. They swore just like the guards – it was their common trait. Who cares what prison they take me to – it would be better in a labor camp – a bit more “nosh”. That’s what I got from the constant stream of cuss. Finally the car came to a halt, the doors opened, and I saw the ladder of a passenger wagon. Goodbye, Astrakhan! Thank God the tribunal exchanged my highest punishment to twenty-five years. A lot of my friends remained in Astrakhan. Their lives were extinguished by the bullets of the tribunal, but also by famine, illness, inhuman conditions that defeated the human will. None of the will have a gravestone, and never will their close ones know where their final home is covered by the grasses of a foreign steppe. The criminal with whom we were chained together, pulled me into the wagon – I had not enough strength to do those three steps myself. The cuffs were taken off in the wagon – the hand was numb, bruised in blood. Again, a thorough, humiliating search. In the wagon hall at the first cell we were given a round loaf of bread with an additional piece – telling us that it was for the entire road, when that’s gone, we would be given only water. The bread had pores, not unlike the clay-like blob we were given in the prison. I ate the bread on the spot – such was my hunger. I laughed back: “It will be warmer in the labor camp, and I will even get into Latvia looking like this.” I told Leonids the way how I’d traded my school uniform with the criminal. Criminals could meet their relatives from time to time. Returning to the cell, each had bread, tobacco, dried fish in their bags. One of them suggested I trade him my uniform jacket for his parka and a two day bread ration, adding a fish to that. I traded the pants for quilted pants and 450 grams of bread, and I got 900 grams of bread and a bushlat – a quilted coat – for my coat. Who cares about looks! What’s important is not to freeze to death, and the piece of bread had the value of life when strength dwindled. Leonids confirmed I’d done right, even though some Latvians had condemned me. And surely, when I got off the train in Riga station, February 17, 1955, I had a quilted jacket on me, of course, not this one. It was the only “compensation” for ten years of slave labor. In 1942 we still believed, to be more exact – wanted to believe – in the victory of Germany. This naïve hope restricted our logical thinking and the evaluation of the real situation. We remembered words by our officers that in a long-term war with Russia Germany will bleed to death and be defeated. The German army had suffered failure next to Leningrad and defeat at Moscow. It was the second year of war. The droning of war was heard in the prison cells of Astrakhan. We heard the roaring signals of air alert. The criminals told us Pauluss’ army is breaking towards Stalingrad. We understood that the result of these battles would be a grave defeat of the German army. We knew that, as the front approached, we would be sent deeper into Siberia or to the North, past the polar circle. Leonids Breikss, being gifted with an unusually good memory and, of course, versatile knowledge, continued his creative work. A piece of paper and a quill was substituted by his memory under these circumstances. All he had known, studied, thought and felt was coded deep in his brain. His vivacious spirit expressed himself not only in his poetry, he constantly tried to know more of the devilish ideology of communism, which in truth tried to build its “bright future” on the captive work of millions of enslaved people, their suffering, complete lack of rights, humiliation and death. He hoped to once write of this, it would be a book on the Year of Terror in Latvia, on the truth of Soviet prisons and slave camps, on the tragic fate of Latvian nation in circumstances of war and occupation, write everything about it from a historic, more distant point of view. Already in the Astrakhan investigation prison Leonids questioned me of activity in the national resistance movement (national legion of Latvia), on being caught, on government and culture officials in prison he knew and did not know. Being a scout, I had trained my memory and surveillance skills. People of many nationalities served the Cheka, but they all were communists, leading officers, instructors, they carried out the repressions and were the rulers. All these workers of the system were sadistically cruel, with very few exceptions. It was hard to picture them in families, where normal people, having gathered around the dinner table, tell them of their day and work. I told Leonids that on October 22 of the last year, the highest war tribunal of Stalingrad convicted the underground group of the Latvian national legion – 14 people. All were sentenced to the highest punishment – shooting, and were executed on December 9, 1941. Me and the other underage prisoner – Oskars Trautmanis – had our sentences changed to 25 years after being on the death row for three and a half months. Leonids’ bent body straightened out, froze, then he said in a harsh, resonant voice: “I would have never thought before, not even in a dream, that the communist Russia could treat a child – a pupil – so inhumanely. This country will never prosper. It will perish like the dirty snow of last year.” Then he added, smiling, “Oh, God, to what bandit do I have to sit next to and talk to!” After the sentence exchange I was weighed like a Guinea pig: I had lost half of my original weight – I was only 36,6 kilograms heavy. When I told him of the trial, Leonids interrupted me several times, asking detailed questions. After the joy of seeing one another and talking about the main events, we remembered that our bread bags have loaves for several days. Silently we enjoyed the taste of bread. For the first time since the famine of Astrakhan prison we were given such large pieces of bread, and it was even baked normally! We ate, not being able to think what we’d eat tomorrow. We knew the immense value of bread, of what we had never thought in Latvia. We slowly sucked on pieces of bread to protect our teeth affected by scurvy – those which had not been punched out in the Cheka. Our compartment was filling up with people. It was hot and stuffy. Me and Leonids sat by the bars and enjoyed our bread. We were happy. Bread meant life, return to homeland. The word “Bread” should be written with a capital letter just like “God”! We held our loaves closely between our legs – we had to protect them so that none of the criminals could take it. Leonids silently said – now he feels much happier with a piece of bread in his hand than he’d ever felt with a glass of champagne in a press ball. He smiled and said: “How would it be, if we, smiling contently, were now photographed by the famous photographer Rake and published in Latvian press?” That, as we assumed, could be done by Janis of the Benjamin family. We were together in the Khan Castle prison, large common cell. We did not yet know he’d already died in Astrakhan. Our wagon was attached to a larger train. It seemed it was close to the locomotive. We found out that we’re heading North along the left bank of Volga. We were halted for a long time for several times. By what we got out of the guards’ conversations we understood the railway had been damaged. Soldiers were repairing it. On the edges we saw a heap of broken wagons. We heard the roar of planes, alert signals. We concluded that war is happening near us. Our happiness soon ended. Leonids’ stomach pain worsened, the pain he’d felt when we were still in the cell of Astrakhan investigation prison. I felt healthy myself, of course, weakened and feeble. I was worried about Leonids, even though he did not complain I could see the illness is bothering him. Sometimes he told a freshly composed poem to me. I thought it was very good, but the poet himself was not satisfied – he cannot concentrate here, in the stuffiness of the wagon among criminals, who luckily did not notice us. They were bragging about their crimes – murder, grand theft, told the most unimaginable obscenities and were eager to sooner arrive to the slave camps where they would get drugs, alcohol and women. Leonids’ condition worsened, he constantly squeezing his stomach with his hands – he told me it gets easier that way. In the evening of the third day we arrived at Saratov. Me and Leonids were the first ones to leave the compartment. We were chained together by handcuffs. Leonids quietly said: “Now, Martins, we will be together for a long time.” But the fate had something else in mind. “We will definitely meet,” I tried to make my voice sound as convincing as possible. How potent must a person’s ability be, his spiritual power, not to break in front of this endless pain and sorrow! It was the last time I was with Leonids Breikss. In August 1942 (maybe September). I looked back standing in the door: there he remained, flinching in pain in the corner of the cell on my old blanket. I was in Saratov prison for a couple more weeks. I heard a typhoid epidemic had broken out there. We were sent to Krasnoyarsk province. We stopped at Yeniseyskaya station. The medical commission rated us as useless for forest working. After almost two months we arrived at Karabas railway station. I met some Latvians with whom I was in Saratov prison. The only things they could say – they had been lead out from the distribution cell, but Leonids remained lying on the floor. Even if Leonids was pushed into the same train as me, he was not at the destination. At this stage due to famine, cold and illness (some were shot) 117 prisoners perished. The dead were thrown out of the wagons naked, piercing them with a spear – maybe someone pretended to be dead. Only then the dead one could be removed from the total number of prisoners, not even clarifying his surname. In Karabas transfer point I walked to all barracks and dugouts, but I did not find my friend. I asked Estonians, Lithuanians, prisoners from other Western countries, but no one knew anything of Leonids. There exists a possibility that he could have been sent in another direction later, if he had recovered. But one should note that typhoid raged in Saratov prison, and when I left Leonids he was gravely ill. In the August diary of “Literature and Art”, September 30, 1989 Miervaldis Birze writes: “At a shop in Cesis I am approached by an unknown pensioner, he shows me his wrist with a scar made by a bullet, a trench filled with gray scar tissue. He is born lucky – he was not shot that time. Little before his escape he was with Leonids Breikss. His cousin had stayed with the poet and seen his shoting.” But this is an indefinite evidence by an unknown person. After my liberation in Omsk I arrived in Riga in February 17, 1955. Beginning with January 1, 1956 every year I walked along the freedom monument at this day, holding a white neckerchief. Leonids Breikss did not approach me. None of them with whom we held this agreement came. A loss to our poetry is that together with Leonids Breikss all his captivity poems died with him. He returned to them again and again in his thoughts, edited them, creating new versions, he was dissatisfied with what he’d written in his memory before. The poem he’d dedicated to our self-made Latvian flag he later told me in a new, better version. He had no doubt in hope that he’d once write it all and publish it. Second, his memory held thoughts, realizations, observations on what he experienced in captivity. Leonids had hoped to write all of this as a personal statement on the tragedy of Latvian nation during the two occupations – communist and Nazi. And the sun setting in my sky. We were once sent into this world. The Breikss family lived in Hanzas street after Leonids and Peteris Pauls’ arrest only until September 12, 1941. Anna left to live with her parents. On November 24, 1941 Leonids and Anna’s son was born, named Peteris Leonids. Anna had no news of her husband. In order to avoid a repeated communist occupation, she and the baby, on August 4, 1944, left Riga in a German army transport vessel, headed to Sceczin, and to Vienna by train from there. Anna was helped by her father’s classmate who had repatriated with her husband, a Baltic German. As the front approached, Anna fled to Bavaria in October 1944. 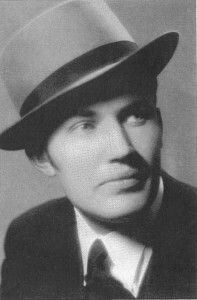 In November 1948 Anna Breiksa left for Canada. During the first years she worked as a maid to provide for herself and the baby. It is so sad to learn how cruel was Leonids’ physical life and how solid and brave was his spiritual life. Peter, you are your father’s son with your strength of purpose and kindness. Watching you from on high, he will be happy. His legacy lives on in you.